Narcotics Anonymous is an international, community-based associa-tion of recovering drug addicts with more than 33,500 weekly meet-ings in over 116 countries worldwide. NA sprang from the Alcohol-ics Anonymous Program of the late 1940s, with meetings first emerging in the Los Angeles area of California, USA, in the early Fifties. 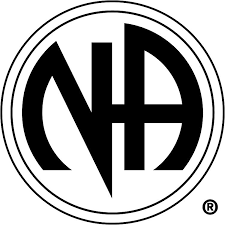 The NA program started as a small US movement that has grown into one of the world's oldest and largest organizations of its type. Membership is open to all drug addicts, regardless of the particular drug or combination of drugs used. When adapting AA’s First Step, the word “addiction” was substituted for “alcohol,” thus removing drug-specific language and reflecting the “disease concept” of addic-tion. There are no social, religious, economic, racial, ethnic, national, gender, or class-status membership restrictions. There are no dues or fees for membership; while most members regularly contribute small sums to help cover the expenses of meetings, such contribu-tions are not mandatory. NA has only one mission: to provide an environment in which ad-dicts can help one another stop using drugs and find a new way to live.